Restoring Family Links (RFL) is a key area of cooperation between the PRC and the ICRC over the years. It needs to be activated as the citizens of Pakistan can greatly benefit from this program, locally and internationally. At present, there is no helpline in the country where a person can get information or assistance if any member of the family gets lost. Under this program, the PRC shall start the LOST Helpline where any person can seek help to locate a lost family member. Depending on the circumstances of separation, the helpline will orient the caller to most appropriate RFL services. He will be either put in contact with the nearby RFL staff all over Pakistan or referred to a public hospital if it is likely that the lost relative might be admitted there due to any accident, emergency or disaster. The RFL volunteers present in all public hospitals will also ensure continuity between the service provided on line and proximity to the patients and their families. Under the Restoring Family Links strategy for the International Red Cross and Red Cross Movement 2008–2018, all components of the Movement have pledged to strengthen their RFL capacity, including in natural disasters/emergencies. The PRC is committed to playing a central role in the RFL response at all times in Pakistan. 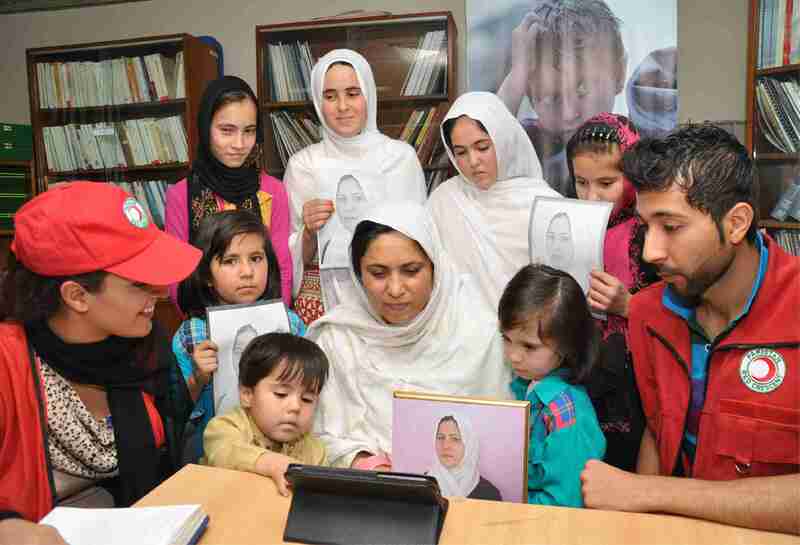 In order to enhance the PRC’s efforts to ensure an efficient and organized delivery of RFL and psychological first aid to the people of Pakistan whenever needed, the PRC, with the support of ICRC and as a member of global RC/RC network, feels the need for a separate RFL telephone service during peace and disaster times. The RFL Helpline service, called LOST Helpline 1030, will integrate a Psychological First Aid component to better address the needs of beneficiaries. In this regard, an RFL call center has been established at the NHQ in the Disaster Management Logistic Center. The LOST Helpline will comprise dedicated and trained RFL persons and psychologists available on call round the clock. This center will not only work in times of disasters and emergencies, but also during peace time throughout the year. Lost Helpline will establish a link, which does not exist in today’s Pakistan, between the patients admitted to hospitals and their relatives. Through the Lost call center and the volunteers present in all public hospitals in Pakistan, the PRC will facilitate information flow between the newly admitted patients and the families looking for them. The Helpline will amalgamate the RFL and psychological services of the PRC for the people of Pakistan, providing them with on-call help and guidance based on the principle of “Changing Minds, Saving Lives, Uniting People”.